Pending a final decision from Spain’s Constitutional Court on the constitutionality of a 2017 law in the Balearic Islands that prohibits bulls from being injured or killed in bullfighting and bull-baiting festivals, the court has lifted an injunction it had put in place in December while considering a legal challenge by the Spanish government to the regional law. On Thursday, the court ruled that it had found insufficient evidence in the federal government’s argument to justify the temporary halt to the law while it continues to consider the matter. 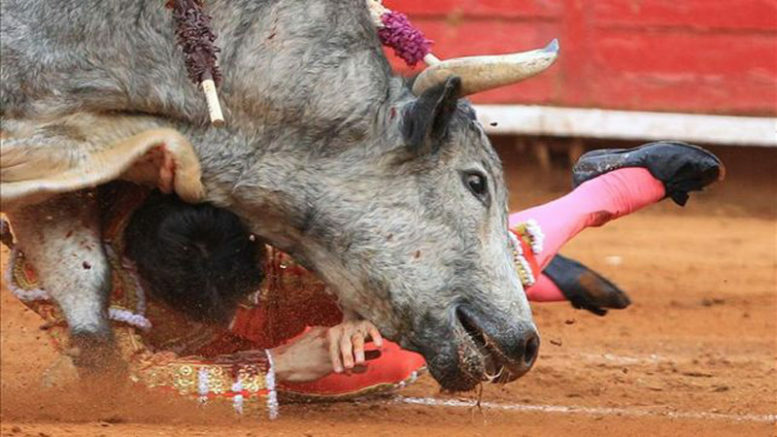 The decision to lift the injunction means that for the time being bulls will continue to be protected from mistreatment, injury or death in bullfights or bull-related festivals in the islands under the 2017 legislation proposed by the regional affiliate of Spain’s Socialist party and approved by the Balearic regional assembly. Among restrictions under the new law are the limitation of the number of bulls to three per bullfight event, each in the ring for a maximum of ten minutes, and the prohibition of spiking the bulls with banderillas or the killing of bulls with a sword by the matador. In addition, the law mandates a bull must be returned alive to the ranch where it was raised, while prohibiting bullfighting on horseback, banning the sale of alcohol at bullfighting events and prohibiting entry to minors under the age of 18. Spain’s government has challenged the regional legislation as unconstitutional, saying it violates constitutional language identifying bullfighting as Spain’s national sport and a cultural tradition of national interest.